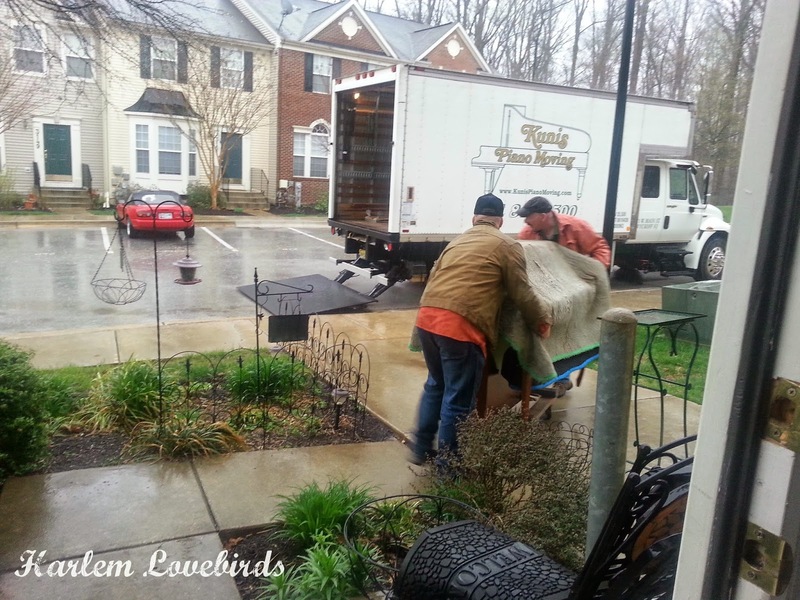 During Nia's spring break last month we made our way down to my parents' home in Maryland to bring back my childhood piano. It's a beautiful piece that my parents purchased new years ago, and we are excited that they are letting us use it! 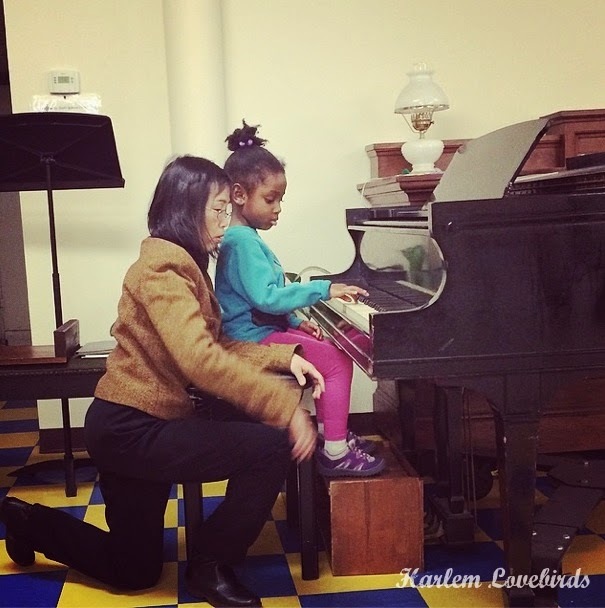 I shared a while back that Nia started piano lessons and she takes them with a Suzuki instructor in our area at a local church. It's in a group setting with other 3-5 year olds, but most of the students take violin. It was really hard to find a Suzuki teacher who takes 3 year olds. Why Suzuki? 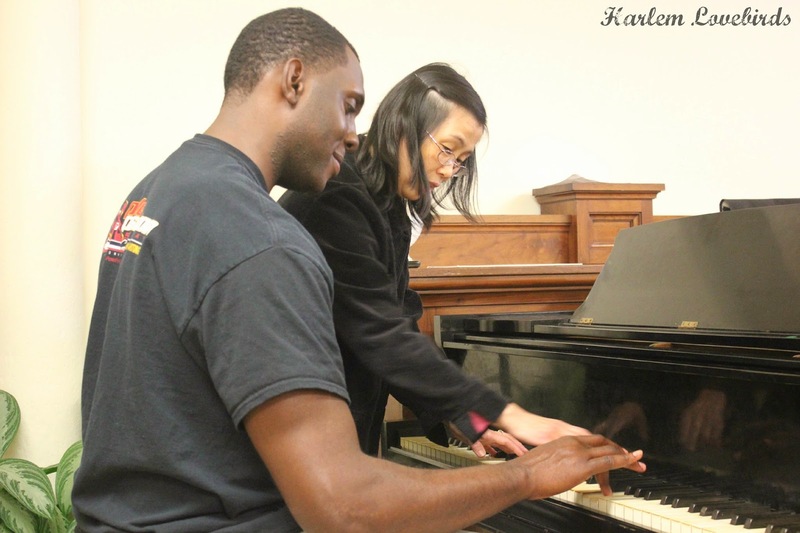 My parents started me on Suzuki piano at a really young age, I appreciated the technique and continued lessons for 8 years. I can still read music, and it's a gift my parents gave me that I'm really thankful for. Nia started her lessons in January and the first two months were a bit rocky. It was difficult to get Nia to sit and focus - she was more interested in playing with the other kids. Uka and I have also found that if we're not there (for example, if my sister Ariane takes her), she does really well and even does other impressive things like this. Sometimes they'll perform a mini-duet with Uka on the piano and Nia on the violin - she told us she actually prefers the violin and her teacher said she's exceptional at it already outperforming even some of the older kids! While we considered the violin, we believe the general music foundation of a piano especially if she wants to go into other areas like singing, writing music or even dancing, is an excellent core instrument so we're sticking with it for now. I enjoy having it in the home (the amateur interior designer in me loves how it matches our cabinetry!) and have enjoyed starting my mornings with a bit of music! Nia's inspired to walk up to it as well making up her own songs and practicing. She's a bit young to put on a regimented scheduled and I still want it to be fun for her so we don't pressure her too much but she does play something on it at least once a day. Her recital is coming up the beginning of June and my mom's already made her an adorable dress that I can't wait to share (as well as a snippet of her performance) so stay tuned . 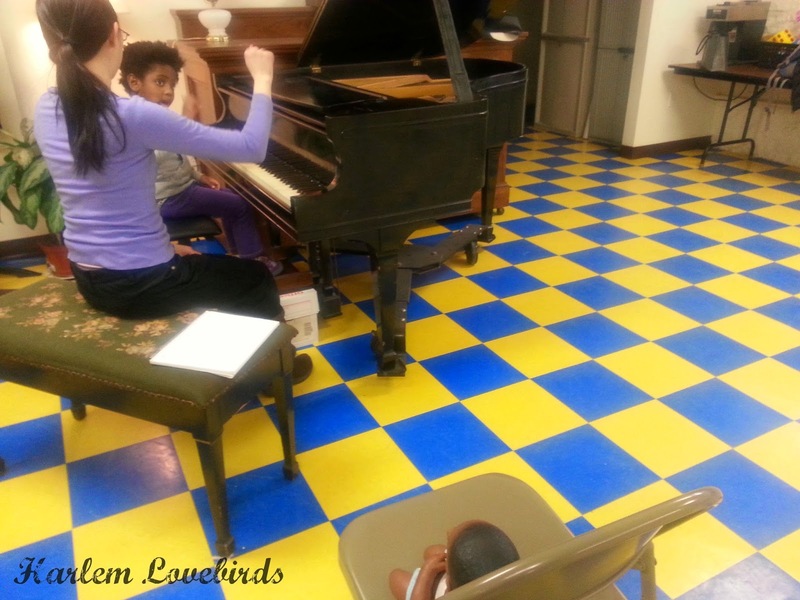 . .
Did you take music lessons growing up or do your kids? 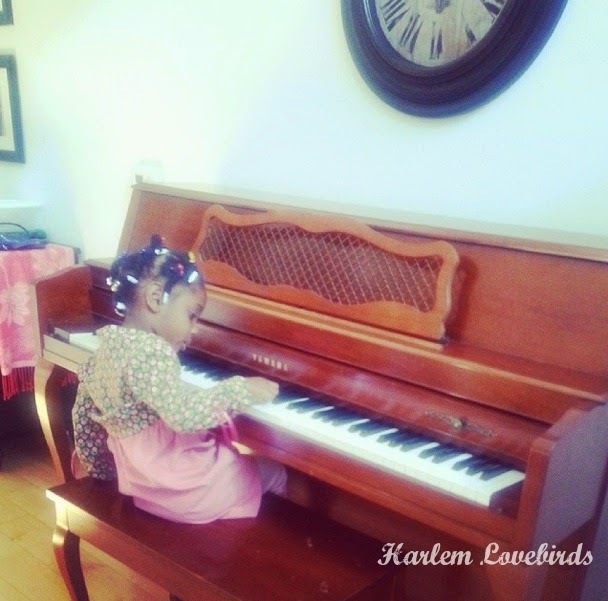 Which instruments are favorites in your household?